I bought two twenty-pound boxes of tomatoes at Busa’s on Saturday. 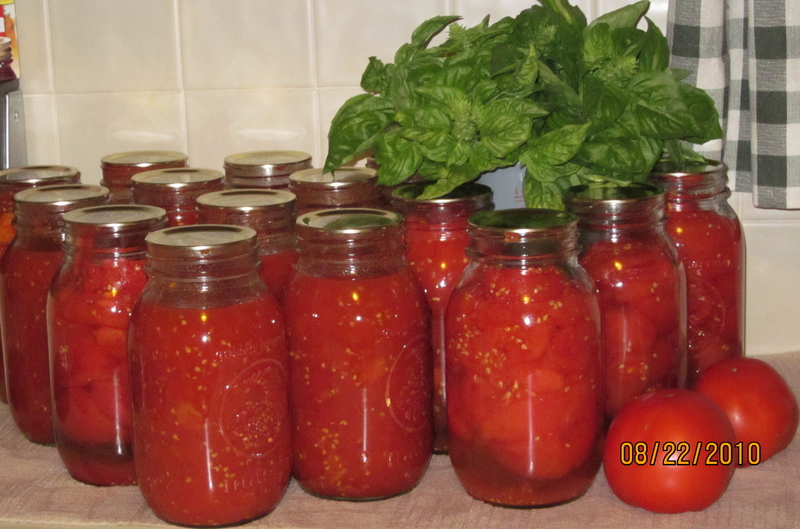 These turned into 15 quarts of canned tomatoes – half I canned as whole tomatoes and half as sauce. This afternoon I’m going to try drying some grape tomatoes. Here’s a site with good information about how to can, freeze, dry, pickle, cure & smoke and ferment your locally-grown produce: National Center for Home Preservation. ← Weather update: Rain coming!